Diabetes has become an extremely prevalent illness in today’s society. There are many factors that can lead to diabetes. Some of them include a sedentary lifestyle, stress, and genetic predisposition. But the most often cited reason is an unhealthy diet. So if you have diabetes, or if your mission is to prevent the illness from occurring in the first place, what types of foods can you eat? In this article, you will discover the answer to that question. When we try to address the recommended dietary habits, it is important to know why we recommend certain foods and not others. The main point that you should address when creating a meal plan is blood sugar spikes. For instance, foods that contain a lot of sugar (fruits, processed foods, carbs in general) can create blood sugar spikes, which produces an insulin release. These carbohydrate foods can be separated into two categories: simple and complex carbs. Simple carbs are those that are digested and enter the bloodstream much faster, thus causing larger blood sugar spikes. The complex carbs take longer to digest, therefore causing less of an upset. This is the main thing to look out for. But with that being said, diabetics are encouraged to eat a moderate diet that includes all natural, organic foods, that can feed the body with all the necessary vitamins, minerals, protein, essential fats, and fiber. The issue is not really in the food itself, but in the quantities you can eat. A diabetic can still indulge in a small sugar treat from time to time but it should always be done in moderation. There is a certain hierarchy of foods by which you should create your daily dietary choices. So let’s see which foods are the healthiest. Protein-rich foods are an excellent choice for diabetics, since they are generally healthy, and do not cause blood sugar elevation. The best choices include beef, chicken, pork, turkey, fish, seafood, tofu, nuts, dairy and eggs. Always go for low fat parts of meat and low fat dairy. The preparation of food is also important. Avoid fried foods and rather bake, cook or grill your meat and fish. Fats are also good, but you should make a distinction between healthy (unsaturated) and unhealthy (saturated) fats. The healthy fats include vegetable oils, nuts, seeds and avocados. Fish rich in omega-3 fatty acids is also good for brain and cardiovascular health. But you should stay away from saturated fats found in animal products, and also in processed foods. The oils used in processed foods are extremely unhealthy as they are hydrogenated to make the food last longer. Our bodies unfortunately have not evolved for their consumption, and they can create inflammation in the gut and a host of other issues as well. As has been previously mentioned, carbs should be separated as simple and complex. You should limit your consumption of simple carbs and eat more of the complex varieties. Some excellent complex starches include brown rice, oatmeal, quinoa, buckwheat, millet, baked sweet potato, and whole grain breads. Avoid products made with white flour, and processed grains like white rice, sugar-rich cereals, and white bread. The same is true for all the various processed snacks like Snickers, Oreo, etc. For diabetics, vegetables should be the main food on the menu. Vegetables contain a host of nutrients, and fiber which is essential for regulating blood sugar. The best diabetic friendly vegetables are green, fiber-dense varieties, such as broccoli, kale and spinach. Try to limit your sodium intake and added sauces/toppings, and you’re good to go. Fruit contains a lot of sugar, but it’s also extremely healthy, due to the large amount of minerals and vitamins, as well as fiber. It should be treated as a semi-occasional treat, but don’t overindulge in it. Basically, fresh and frozen fruit is the healthiest. You should avoid canned fruits with heavy syrup, and also fruit drinks, since they contain very little fiber and can cause a faster blood sugar increase. Ideally, the best drinks you can have are water and tea. All the other drinks, such as coffee, beer, wine, energy drinks, hot chocolate, should not be consumed on a daily basis, especially if there’s extra sugar added to them. So that is the general info you should have in mind. If you’re trying to create a diabetic-friendly diet, limit your consumption of simple sugars and fried foods. At the same time try to add a variety of healthy foods so that you don’t miss any of the important macro and micro-nutrients (protein, carbs, fats, minerals, vitamins, and fiber). I hope this article has expanded your knowledge on this topic, and will serve you as a guide in creating and maintaining healthy dietary habits. When your body has a surplus of blood sugar, you can expect that you are on your way to getting Insulin Resistant Type 2 Diabetes. Given the dire consequences of this disease, you will suffer so many complications in your health that will take you time, effort, energy, money – practically your entire life. Luckily, there are measures one can take to prevent Type 2 Diabetes from creeping up later in your life. How do you exactly adopt a healthy lifestyle in order to reduce the likelihood of getting this disease? Obesity is one of the major factors leading to the development of type-2 diabetes, and staying on a normal BMI or on a normal body weight will be a good preventative approach. Morbidly obese individuals should seek their physician’s advice if they need to get a bariatric surgery (a surgery that reduces the size of your stomach). Though invasive, this procedure can help. However, not all obese individuals have to undergo this operation. Some will only require to make better lifestyle decisions. Did you know that losing as little as 5 kilos can already reduce the risk of diabetes by 50%? Regular exercise is also essential in maintaining a good blood circulation and a healthy weight. Relying on diet alone is simply not enough. Maintaining optimal muscular functions is key to proper insulin response as the muscles are involved in the absorption of glucose, which they burn for energy. 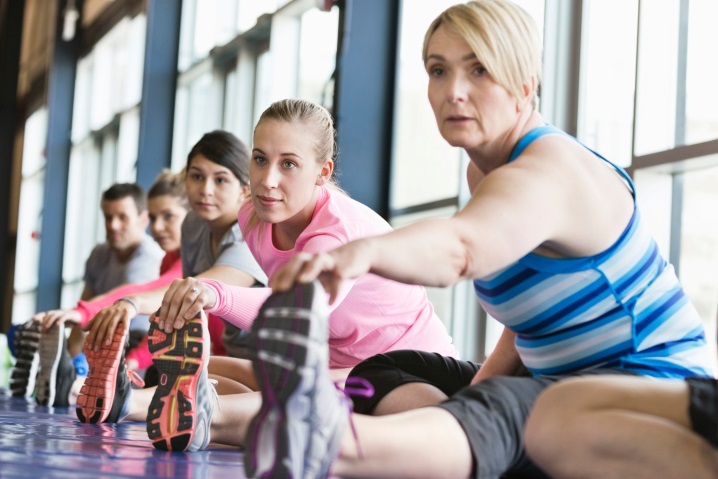 When you exercise every day, and keep your muscles moving and active, you are improving your body’s sensitivity to insulin and ensuring that your blood sugar levels are stable. Purging your kitchen or pantry is the first thing you need to do to start eating smarter. Get rid of all the junk food lying around, including most processed foods. The main goal is to reduce your intake of sugar. There are 3 kinds of sugars, simple sugars, starches and dietary plant fibers. Simple sugars are your maple syrup, honey, and regular white and brown sugar. These sugars generally make up more than 10% of the food you eat. Yes, it does not sound like it is too much, but believe us when we say it is. Simple sugars are easily digested and absorbed by the body – this forces your body to produces more insulin. Starches are the hardest to digest, so they do not rapidly assimilate in your blood stream. Dietary fibers are the best kinds. They are sugars found in fruits, vegetables and whole grains. They are tougher on the stomach and rely on your bacterial flora for them to be digested. It takes much longer for them to be digested, causing sugar to only gradually show up in your blood stream. Therefore it is recommended to limit your intake of simple sugars and starches. Opting for dietary plant fibers is the optimal strategy for diabetics. Another smart food decision it to eat the right kind of fat. Eating the wrong kind will also influence the development of your body to resist insulin. A diet of saturated fats promotes chronic inflammation and will result to Type 2 Diabetes. Eating healthy fats like avocados, olive oils and fish oils containing omega-3 fatty acids is preferred. Eating unsaturated fat will reduce the likelihood of you getting Type 2 Diabetes as omega-3 improves your body’s response to insulin. Sugar and salt aren’t really bad if used minimally. But with all the processed food we are eating, nobody can track how much sodium and glucose we are putting in our bodies. One way to flavor your food is with the use of spices, and these spices can be an instrument in preventing diabetes. Cinnamon is widely used as an ingredient in sweet treats. But do you know that when used right, cinnamon can improve sugar tolerance. It also has the ability to interfere with byproducts that can destroy blood vessels. Aside from cinnamon, Jamaican allspice, thyme, turmeric and black pepper are among the many spices that can prevent Type 2 Diabetes. There are several weight loss plans that push for the dominance of fat and protein over the other macronutrients called carbs or carbohydrates. This is what happens with Paleo, South Beach, Atkins and other simple low carb diets. A person can lower the carbohydrate intake to meet a certain weight goal, but this leads to some negative and positive side effects. But a large number of dieticians are now saying that avoiding all the carbohydrates is not a real safe dietary resolution. However, living without sugar and other forms of carbohydrates is possible. “Carbs” is the term that those who want to lose weight are really trying to avoid. According to Dr. Robert Atkins, this is bad, which left numerous people puzzled about carbohydrates and their significance to their health. Importantly in attaining and maintaining a healthy body weight, they matter. Carbs represent a broad class of food and we need to learn that not all of them have a similar effect with respect to diabetes. The focus should be on the kind and amount of carbs in our daily diet. Although it is suggested that we must lessen the quantity of sugar in our diet, we should also limit starchy carbs. These claims are supported by Sian Porter, a dietician, who adds that there is a strong belief that the fibers present in whole grain versions of starchy carbs are definitely good for everyone’s health. Protein and carbohydrates contain approximately a similar amount of calories in every gram. But fat has roughly twice as many calories for each gram as protein or carbs. However, there are other factors that influence the satiety or the sensation of feeling full. It depends on the kind and quantity of food eaten. Also, environmental factors like availability and portion size are also crucial. 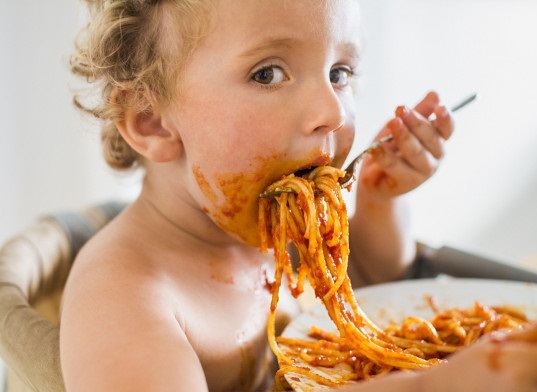 Satiety varies from one person to another. Foods that are high in protein help a person feel fuller and these include eggs, fish, beans, dairy products and meat. An individual should avoid overeating protein to have a healthy balanced diet. Make sure you include some starchy foods such as vegetables and fruits in your diet. 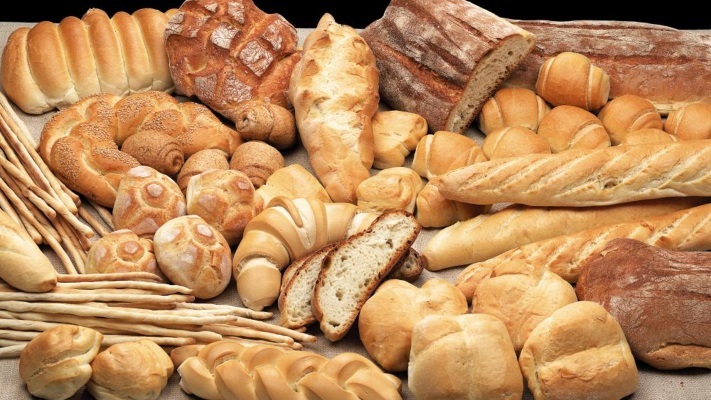 The body prefers to use carbs as energy for the metabolism, muscles and nervous system. When a person eats carbohydrates, the body breaks it down into smaller sugar units. These will be transported through the bloodstream to the organs and tissues, where these are put to use as energy. One of the sugars that carbs break down into is called glucose. This element is vital to the central nervous system. The human body can use protein for energy, but this process will increase stress on the kidneys because the byproducts will be excreted into urine. When you cut your consumption of carbohydrates, your body will benefit in terms of weight loss. 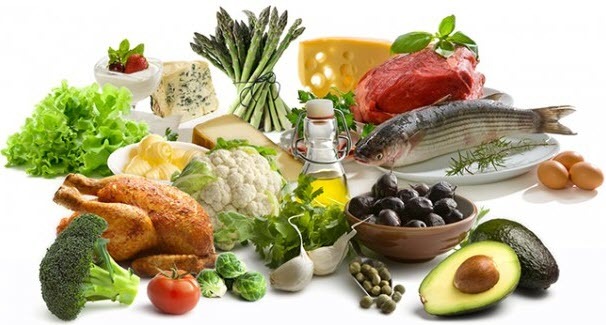 In 2014 the Nutrition, Metabolism and Cardiovascular Disease published a report stating that low carb diets can reduce the body weight and lower the risk factors for any cardiovascular disease. But, eliminating carbs completely will cause problems to the body’s biological functions. To make it easier for you to have all the nutrients in your diet and lose weight without putting your health in jeopardy, check the 7 steps to health guidebook. The Iowa State University Extension released a statement that without glucose, an individual might feel dizzy and weak. This can also lead to hypoglycemia or low blood sugar. In some occasions, a person might experience poor physical performance as well as mental fatigue. It is highly suggested by the Dietary Guidelines for Americans for people to eat at least 45 to 65% of their calories from carbs. If you are following a 2,000 calorie diet, this is equal to 225 to 325 grams of carbohydrates daily. This is because every gram of carbs is equal to 4 calories. On the other hand a study by The Journal of Clinical Endocrinology and Metabolism reported in 2003 that women who are consuming as little as 20 grams of carbs daily lose more weight compared to those who are having low-fat diets. But this only leads to short term results. Having such small quantity of carbohydrates over a period of half a year is not related to the increase in cardiovascular risks. You can get rid of simple carbs such as sugar without experiencing harmful effects while still eating complex carbs in the form of whole grains or vegetables. If you want to go for a low carb diet, stay away from simple carbohydrates like lactose and sucrose. These types of carbs break down swiftly and are absorbed into the bloodstream immediately. They provide a source of energy that can only last momentarily. However, the complex carbohydrates take a longer time to digest. These will gradually increase blood glucose and provide a longer lasting kind of energy. If you have the luxury to choose, pick fiber-rich options like vegetables and whole grains. This includes carrots, leafy greens and celery. 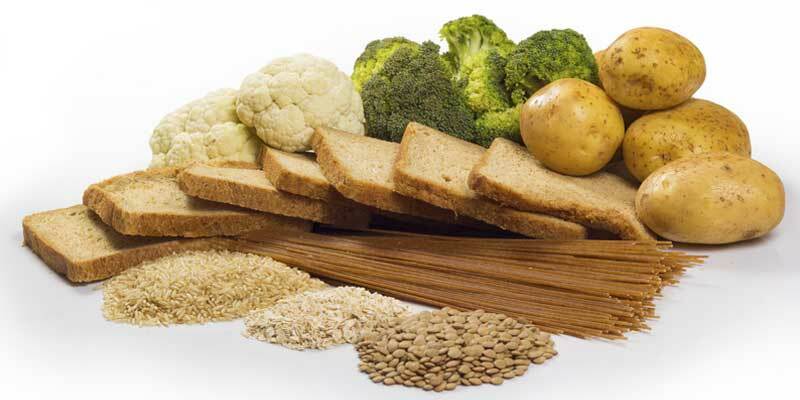 There is a healthy way to hack simple carbohydrates in your diet. Work on cutting your added sugar intake. Spend some time to read ingredient labels and take note if a form of sugar is close to the top of the list. Other added sugars are hidden in the names of dried cane syrup, brown rice syrup, high fructose corn syrup, maple syrup, invert sugar, sucrose, and molasses. It is a real challenge for people with diabetes to search for the most effective and lasting treatment to control their blood sugar levels. But, before any doctor could recommend any medication, you have to undergo some testings. Blood sugar is measured in milligrams of glucose per deciliter of blood (mg/dl) in the United States. In Canada and the United Kingdom, it is measured in millimoles per liter (mmol/li). Before any blood sugar testing, you have to understand what is a normal blood sugar level. In addition, you also need to be informed that blood glucose level depends on the type of diabetes a person have . Levels of blood glucose vary during the day for a person without diabetes. It should not go beyond 100 mg/dl upon waking. It should be clear that nothing can beat a well-balanced diet plan, an active lifestyle, and a diabetes medication in keeping the right levels of blood sugar. There are things and foods that work, while there are those that you should avoid. These diets are not balanced and only deprive someone’s body of the much-needed vitamins, minerals, and fiber. This is according to Constance Brown-Riggs, author of The African American Guide to Living Well with Diabetes. Just recently, she guided a PWD type 2 who consume very little carbohydrate. The practice only resulted in severe headaches and poor energy. 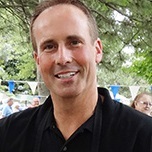 Brown-Riggs, a successful Registered Dietitian, and Certified Diabetes Educator, has helped the patient balance out his diet plan by suggesting grains, fruits, and other foods containing carbs. Upon doing this, his energy level was restored, his headaches ease off, and he was glad to learn that he could consume healthy carbohydrate sources while controlling his glucose levels significantly. To triumph, someone has to manage portions of all his meals, eat in small portions over the day, and coordinate with a health care team to create a personalized meal plan, activities, and medication. This move could potentially drive the blood glucose levels higher. When someone does not eat for numerous hours because of sleep or other causes, the body stimulates itself with glucose released from the liver. For those who have type 2 diabetes or PWDs type 2, the liver does not appropriately detect that the blood has sufficient glucose already, so it keeps on realesing more. Eating with a small amount of carbohydrate tells the liver to stop supplying glucose into the bloodstream. Unfortunately, skipping meals will only lead to overeating. This practice can be the reason a person experiences an increase in his weight. 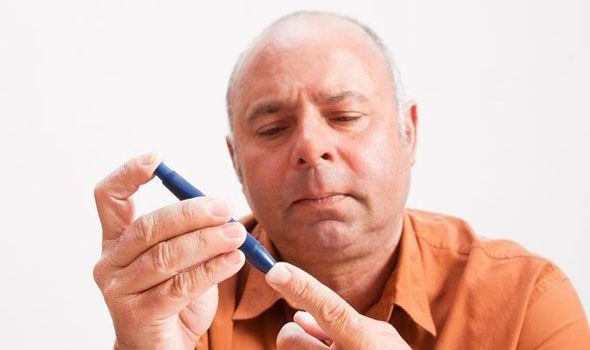 Also, if an individual takes a certain diabetes medication that fuels the body’s own insulin like common sulfonylureas or injectable insulin, he is at risk of having a blood glucose level drop too low when he skips or delays his meals. According to Brown-Riggs, bars and shakes produced especially for individuals with diabetes may help control the blood glucose levels for those who have hectic schedules. If these are used as snacks or meal replacements, they take the presumption of carb counting. You can easily toss them in your purse or desk drawer so you will have the right choice when it’s difficult to take a break for lunch or when you are stuck in traffic. But you have to be careful not to fall into the trap of consuming these items in addition to your daily snacks or meals. If so, your weight and blood glucose level could soar high. You must trade them for other food items, or your carbohydrate and calorie intake will surely increase. In 2003, a Diabetes Care research reported that cinnamon might possess the ability to lower the levels of cholesterol, blood glucose, and triglyceride for those who have type 2 diabetes. In other studies, the results were not so encouraging. When a group of researchers accumulated the results from 5 studies with a total of 282 participants with type 1 or type 2 diabetes, they concluded that there is no benefit from cinnamon. These findings were published in the Diabetes Care 2008 issue. Still, you can enjoy this fragrant, sweet spice, which adds such delight to your taste buds without needing to add sodium or calories. Cinnamon adds interesting flavours to poultry and beef and brings out tomatoes’ natural sweetness. You can sprinkle it on fruits, oatmeal, and yogurt to add sweetness even without adding sugar. It is an excellent idea to drink plenty of water and other calorie-free beverages when the blood glucose has climbed. High blood glucose can lead to excessive urination, and water can prevent dehydration. However, Brown-Riggs made it very clear that drinking plenty of water would not lower the levels of high blood glucose. Of course, if you want to cut calories and get a great dose of polyphenols, replacing sugary drinks with green tea is a smart idea. But, it won’t help in reducing the blood glucose. Some studies reveal that green tea might prevent type 2 diabetes and develop insulin sensitivity. Unluckily, the proof is not strong enough to make certain suggestions. Green tea extracts (not the beverage) in high amount have been linked to several cases of liver toxicity said Laura Shane-McWhorter, a University of Utah College of Pharmacy professor. 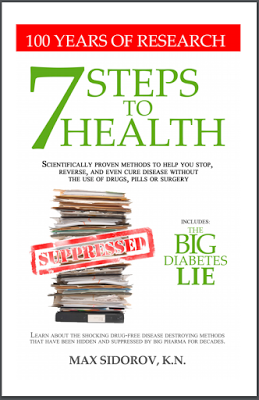 She authored The American Diabetes Association Guide to Herbs and Nutritional Supplements in 2009. She warns people with diabetes to use green tea extract supplements with prudence. Yes, alcohol may lower the blood glucose. Sadly, it can do so intermittently and cannot be considered an effective or safe method to control glucose. Alcohol can impede with the capacity of the liver to elevate blood glucose and can lead to hypoglycemia (low blood glucose). In reality, it is difficult to foresee just when alcohol might cause this. Sometimes, the effects may be felt the next day. When alcohol is combined with high sugar beverages like juices and sodas, or consumed foods containing carbohydrates, the blood glucose may at first go up, but plummet later on. This should be considered, especially if an individual takes a medication that can lower blood glucose like insulin or sulfonylurea. According to Dr. Carol S. Johnston of the College of Nursing & Health Innovation at Arizona State University, a spoonful of vinegar helps blood sugar to go down. Taking 1 to 2 tablespoons of vinegar before eating a major meal may slow the increase of the postmeal surge in the blood glucose level significantly. But, this does not give anyone the authority to go crazy over carbs. It is true that vinegar may slow down starch digestion and keep food in the stomach much longer. Because of the delay in emptying the stomach, vinegar helps to dull the climb of blood glucose in reaction to eating. But, vinegar is a problem itself. Nothing is fun in drinking a tablespoon or more before eating. A brilliant idea to add a significant amount of it in your meal is to splash some on a salad and other vegetables. Be cautious if you change something on your carb consumption. It has been reported that there is a higher incidence of hypoglycemic episodes in people with type 1 diabetes who consume vinegar. Some people may think that taking diabetes medicines twice the amount recommended by the doctor is a good idea. 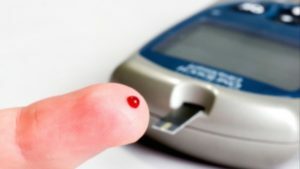 Nevertheless, it is a very dangerous thing to do because it can risk a person’s blood glucose plunging crucially low when taking medication to lower blood glucose. If an individual’s blood glucose constantly runs high, he has to work closely with his doctor to modify his medications and create a customized diet plan. If it is high because you eat a lot, find a way to resolve it. Do not change or adjust your medicines alone, you need the expert knowledge of a doctor to do it for you. A registered dietitian and diabetes educator named Jennifer Hyman said that if someone is giving up exercise for sleep, the chances are he is not active enough during the day. This will turn into a nasty cycle because insufficient physical activity lowers the quality of sleep. Poor sleep only leaves a person too tired to exercise. She recommends that you should dedicate at least a few minutes for daily exercise through taking the stairs or walking. Lack of sleep or poor sleep can interrupt the hormones, which leads to increased appetite, a thicker waistline, and higher blood glucose. A group of researchers from The Netherlands discovered that even just a night of poor sleep can lessen insulin sensitivity by about 25%. It won’t take an entire day for you to find some of the most popular diabetes supplements today. There are some who claim that bitter melon or bitter gourd can lower the blood glucose. This kind of vegetable is common in India, Philippines, and other parts of Asia. Some studies reveal that the vegetable, its juice, or extract could improve glucose tolerance. Unfortunately, most of those studies have no solid design, and the outcomes widely vary. The chromium picolinate may serve as an insulin sensitizer, which can improve the levels of blood glucose in people suffering from type 1 or type 2 diabetes. Some studies say it works, while some say it does not. The Natural Medicines Comprehensive Database claimed that taking guar gum with meals may possibly lower blood glucose after the meal. Because it contains a high amount of fiber, it may be helpful in decreasing cholesterol levels. Sadly, this might cause stomach upset. Furthermore, guar gum may also minimize the absorption of penicillin and other medications. More and more people are suffering from Type-2 Diabetes in the USA and worldwide, it is an epidemic. If you are reading this page, you may probably have concerns about it and what to learn more. 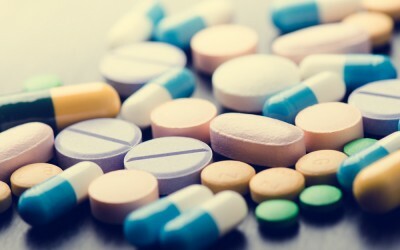 The main question we are trying to solve is, do you need to take prescription drugs all your life or is there another way to get rid of Diabetes, once and for all? And a corollary question asks what is the cause of the rise of cases. There is a lot of misinformation about it on the Internet or even in medical circles, and as I was myself diagnosed with diabetes, I wanted to gather all the real scientific data and share it with you, my reader. Interestingly the disease itself has usually no symptoms. You know you have it simply because your doctor told you that your blood level glucose was way over normal, that’s it. But if you discover you have diabetes because of other symptoms, then it means the disease is already at an advanced stage.